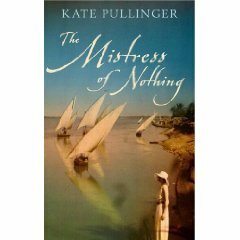 Kate Pullinger’s The Mistress of Nothing has won the 2009 Governor-General’s award for English language fiction — a major and stunning surprise. Told from the point of view of her servant, the book is the story of Lady Duff Cooper’s mid-nineteenth century retreat to Egypt to alleviate her consumption and how the household adapts there ( my full review is here). I said in my original review that I was surprised to see the novel shortlisted for the G-G and longlisted for the Giller — while it is very competently done, it is not the kind of book that wins literary competitions. As well, Pullinger, while Canadian-born and (I presume) still a citizen, has lived in London for almost a quarter century and the book has no Canadian content. Juries for the G-G have a history of being contrarian. Alice Munro’s Too Much Happiness (reviewed here) would seem to have been this year’s obvious choice (and would have been mine) — one can only assume the jury decided that the Man Booker International Prize was award enough for Munro this year. Given that the last two G-G winners were established Canadian “names” (Nino Ricci for The Origin of the Species in 2008 and Michael Ondaatje for Divisadero in 2007), one could understand a jury wanting to look for something less obvious. Even then, one would have thought the jury would turn to Annabel Lyon’s The Golden Mean (reviewed here ) as its next choice. This first novel about Aristotle and the young Alexander the Great is the success story of this year’s Canadian season, making the shortlist for all three major prizes. Alas, like Rawi Hage’s Cockroach last year it is now on track to lose all three. The other two finalists would also have been surprise winners. Deborah Willis’ Vanishing and Other Stories (reviewed here is a wonderful first collection of stories, but not up to comparison with Munro. And Michael Crummey’s Galore (reviewed by Shadow Giller juror Trevor Berrett here) seems a bit too regional and offbeat — although that is often a strength in G-G competitions. None of those comments is meant to discourage anyone from reading The Mistress of Nothing. While both the subject and style mean it is not for everyone’s taste, it is well done and an enjoyable read. It is, however, a surprising winner in a competiton where the “literary” usually takes precedence over the “readable”. While I only follow the English fiction award, there are actually 14 Governor-General literary awards, seven each for English and French-language work, in categories including poetry, drama, children’s and translation. You can see the full list here. The Shadow Jury decision was both quick and unanimous — all three jurors had this book at the top of their list. We certainly found the other shortlisted titles were worthwhile, but MacIntyre put it all together. In The Bishop’s Man, Linden MacIntyre has a subtly controlled mixture of hope and despair all centralized in Father MacAskill, a lonely priest only slightly disillusioned but immensely disturbed by the sexual scandals occurring among his colleagues. What’s so wonderful is that this book can grapple with such a large event as the Catholic Church’s problems in the late twentieth century and still manage to keep the focus on one man and his struggles to reconcile the multiple tragedies of his own past — including, among other things, alcohol abuse and thoughts of suicide — in order to find some warmth in the cold and lonely setting of Creignish on Cape Breton Island. The characterization in this novel takes it beyond expectation. MacIntyre sets his book in a conventional context — priests who are sexual abusers — but his central character, Father Frank MacAskill, is not part of that crowd and that is the novel’s greatest strength. He is an aging, honest creature who got caught in a trap and can’t get out (not unlike Cape Breton lobsters) and this book underlines his dilemma. You can find Trevor’s full review here. And mine is here — I must say that a second read of the book showed it was better than my first impression. The Real Jury will announce their decision at the Giller gala on Nov. 10. The Shadow Jury has now spoken. For those with access to Canadian television, there is a fair bit of Giller coverage on Bravo TV. On Saturday, Nov. 7 at 6 p.m. EST, a one-hour edition of Arts and Minds featuring a panel discussion with all five shortlisted authors will air — it includes a cameo appearance from Shadow Giller juror Alison Gzowski who talks about the Shadow Jury and its work. The Arts and Minds show will be repeated on Tues., Nov. 10 at 8 p.m. EST with live coverage of the Giller gala starting at 9 p.m. For those outside of Canada, CTV promises that a live web feed will be available — check either http://www.ctv.ca or the Giller site for details. And so this reader comes to the end of the Giller shortlist, a journey I much enjoyed, even if some of the stops were not as pleasing as others. After venturing to Egypt, Cambodia, and ancient Macedon for the previous three Giller shortlisted titles, The Bishop’s Man (2009) brings us back to Canada, which is a fitting way to end one of Canada’s great literary prizes. And here's a link to my earlier review of the book — I should note that I am halfway through a second read and am more impressed this time around. All three jurors have now completed their reading of the shortlist and deliberations have begun. Barring complications, I hope to post the announcement of the 2009 Shadow Giller Prize winner on Friday, Nov. 6. Please stop by and criticize our decision then (well, you can congratulate us on an excellent choice if you want as well). This book picks up in about 343 B.C., when Aristotle is travelling to Pella, the capital of Macedon, with his very young wife Pythias. They have just left Atarneus, where Aristotle had founded his first philosophical school under the patronage of Hermias (Pythias’s father, probably). Lyon does an exceptional job subtly introducing some of the region’s impending doom. Aristotle is couriering a treaty from Hermias to Philip of Macedon, who is just beginning his campaign to take over the known world. Atarneus lies frighteningly close to Persia, so Hermias was hoping to get Philip’s protection in return for Hermias’s loyalty. When the narrative begins, Aristotle has already stopped by Stageira, his birthplace (in Macedonia), to witness for himself the destruction brought about when Philip destroyed the town. We get a great sense of the time when we meet Philip and Aristotle humbly submits himself to him. In The Golden Mean Philip and Aristotle were friends in youth — at least as close to friends as one can become with the future king. This is possible since Aristotle’s father was Philip’s father’s chief physician. Consequently, they have an interesting relationship in The Golden Mean now that both have grown up, Aristotle in Athens building his mind, Philip in Macedon building for war. While that establishes the context of the story, Lyon devotes most of her attention to Aristotle’s tutoring of Alexander and explores what happens behind the main events of the time. You can find my my review of The Golden Mean here. Lyon’s novel has now been shortlisted for all three major Canadian fiction prizes — that is a good indication that this is a very well-written book. The Killing Fields of Cambodia, the atrocities committed by the Khmer Rouge and Pol Pot, have been covered before, particularly by the courageous Dith Pran, who died last year. I knew going in to The Disappeared (2009) that the book could not be as affecting as the journalistic accounts. Yet, there’s something haunting and reverent about the cover that compelled me and gave me hope. I hoped like mad that the book could be as haunting and, knowing the topic, especially as reverent. In the end, despite a few flaws, the book greatly exceeded my expectations. And you can find my earlier review of The Disappeared here. I would say that Trevor and I agree that while it is not a perfect book it is a very good one. I remembered that when KevinfromCanada reviewed this book, he was disappointed, yet his review still made me want to read the book. The setting and topics sounded very interesting to me, so I was secretly pleased that it made the shortlist. My earlier review — and some very interesting comments — can be found here. Further comments are certainly welcome.